Face Atelier isn’t a make-up brand I’m very familiar with, but had heard a bit of buzz around the blogosphere about it, and of course that makes me curious. So when I was contacted by Coco Beau to see if I wanted to try it, as one of the brands they stock, I was very keen. So I was sent a sample of Face Atelier Ultra Foundation in shade ‘Ivory’. In the tub, the colour looks quite dark but blended out it matches my skin perfectly. I like how fluid this foundation is, it’s quite a watery texture that makes it easy to blend into skin and build without looking cakey. Excuse the dazed and confused look. The finish on this is truly flawless, but still natural. Skin looks clear, with a bit of a healthy sheen but not greasy. It does tend to get a little shiny by lunchtime (when I wore this for work) but this is normal for me. It will be an exciting day when I find a foundation with my favoured finish (satin) that doesn’t need a dusting of powder through the day. 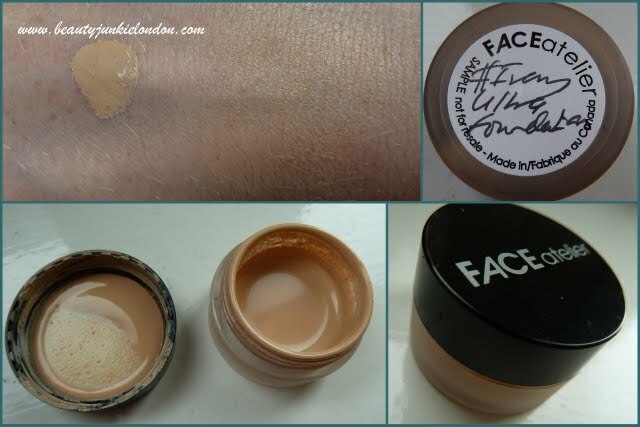 Best thing about this foundation is something I already mentioned – how buildable it is. 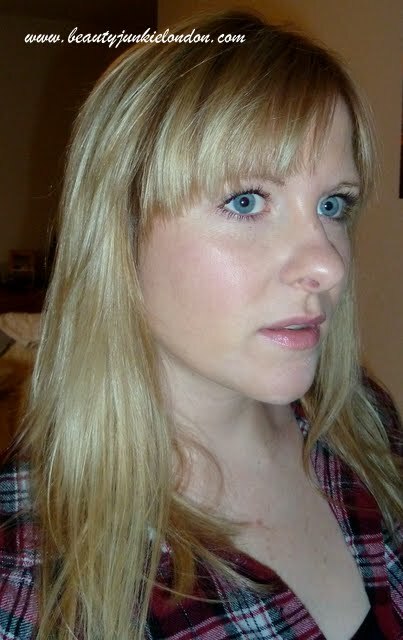 At the moment I’m having a rather nasty breakout around my chin – can you see it in this picture?! Nope, me neither – I’m a happy bunny. This is easily buildable to conceal, but looks equally good when used lightly just to even things out. So if you invest in the foundation and find it doesn’t quite match, or you come back from an exotic holiday a few shades darker…you can adjust it without letting a whole bottle go to waste. The adjusters do cost £23.50 though, so it’s not the cheapest solution but it’s an option if this is your holy grail (or if you are a pro!). Previous Post Fashion Night In: HQhair.com mega deal! Ooh, this sounds really good – very pro. I like that you say it’s quite watery, that’s better for building up lots of thin layers, and the shade adjusters sound genius. I do really like how fluid it is, makes it so easy to blend & build. In the pic above I have a few more layers on the chin area than the rest of the face, but it doesn’t look cakey. @Evalina I haven’t but I’m really tempted too try it. Might try the Double Wear light one as think that might be more my sort of texture!